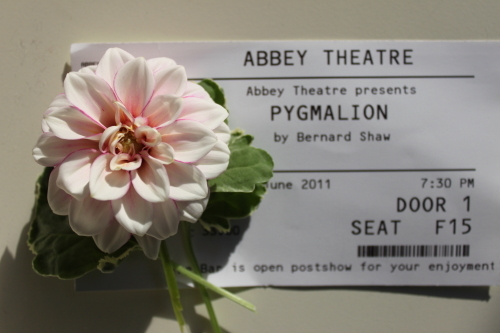 Last night I went to see George Bernard Shaw’s Pygmalion at Dublin’s Abbey Theatre. The plot (to win a bet, phonetics expert Professor Henry Higgins transforms cockney flower girl Eliza Dolittle from a “draggled-tailed guttersnipe” into someone who could pass for a duchess, at a society garden party) could so easily, as so many before me have suggested, segue into a reality TV show. I enjoyed the Abbey Theatre’s pitch perfect production. On stage there was an assembly of talented actors, who all gave admirable performances and a great supporting act – the period set. As I set off theatre-ward, I was looking forward to seeing the costumes. They didn’t disappoint they; were models of well designed and stylish restrain. The costume designer for the production is Peter O’Brien. He is a graduate of St Martin’s London. He worked for Christian Dior, Givenchy and Chloë before moving to Rochas where he was design director for fourteen years. Since his return to Ireland in 2005 he has worked as a free-lance designer. 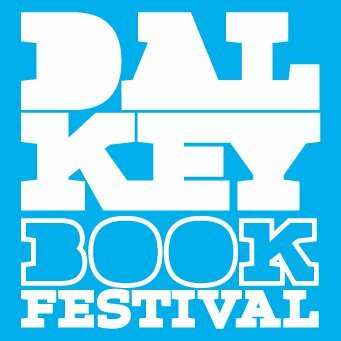 Next Friday as part of the Dalkey book festival (Dalkey is a South Dublin suburb that probably boasts more writers per square mile than any other part of Ireland) Peter will be giving a talk entitled ‘From Drawing to Dress’. The tickets are a very affordable five-euro. The festival has a very interesting line up of speakers and events click here to visit the Festival’s website. Note; Pygmalion finishes tonight (returns only) if you haven’t seen it and would like to get a feel for the production click here to see the Abbey’s video ‘Pygmalion on the Abbey stage’. Why can’t I follow your lovely, lovely blog?? ?